When it comes to looking after your family's dental health, you surely want to find a dental office that fully understands the needs of every member. What better family dental office than a one run by a family of dentists? At Rieser Family Dental, that's exactly what we are - family - and we would love nothing more than to be invited into yours as well. At Rieser Family Dental, our vision is to create an environment that evokes comfort and trust for our patients and where our team loves to come to work every day. We have upheld this vision for more than 25 years and have served thousands of families. We, the Rieser family, grew up in a dental environment, believing in a career that is dedicated to providing the ultimate in patient care. This is why we want to give all our clients the highest quality of dentistry available by combining our education and experience in treating all aspects of oral care, from toddlers to seniors. Upon arriving at Rieser Family Dental, your experience from start to finish is sure to be exceptional. We pride ourselves in creating an unparalleled dental experience through the use of the newest technologies. 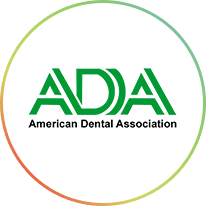 Whether you need comprehensive periodontal treatment, crowns and bridges, dental exam and x-rays, dental implants, dentures, or partial dentures, we have the training, skills, and equipment necessary to help you maintain or improve your dental health. Our dental practice also includes emergency dental services, Invisalign, preventive dental care, root canal therapy, teeth whitening, tooth colored filling, and tooth extractions. We realize that for many individuals, especially our younger patients, visiting the dentist can be a terrifying experience. This is why we do everything possible to create a dental environment that makes our visitors feel comfortable, relaxed and welcome. 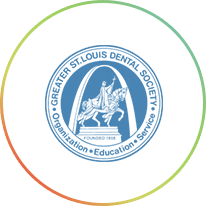 Our St. Charles family dental group is made up of highly skilled and passionate dental professionals who care deeply about our patients and make their comfort our top priority. Our clients can choose to watch a movie or have nitrous oxide sedation if it will make their visit more enjoyable. For more information about how Rieser Family Dental can help meet your family's dental needs, please contact us today to schedule an appointment. We are passionate about what we do and love making a difference in every patient's smile. 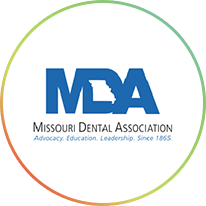 Proud members of the American Dental Association, Missouri Dental Association and the Greater St. Louis Dental Society.